It is possible to select regions of sequence spanning different parts and then merge them into one continuous part. To merge parts, select your sequence range in any view and then right click and select "Merge selected parts" from the dropdown menu (Figure 1.5.7.1) or select "Merge" from the "Edit" menu in the menu bar (Figure 1.5.7.2). A new merged part will be created. 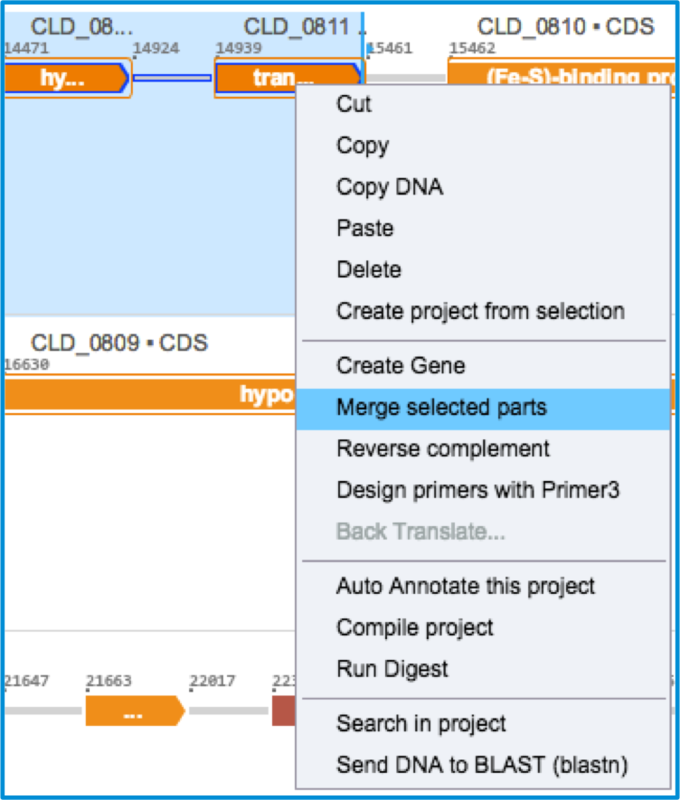 Figure 1.5.7.1: ”Merge selected parts” in the right click drop down menu. 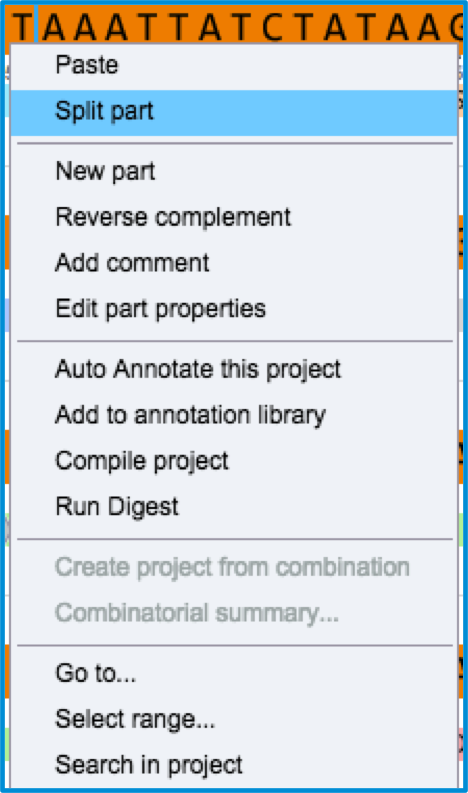 Figure 1.5.7.2: Selecting Merge parts from Edit menu via the menu bar. It is also possible to select a single part and split into 2 parts. To split parts, make sure you are in the sequence view and place the caret where you would like to split the sequence. Your original part will now be split into two new parts. Figure 1.5.7.3: ”Split part” in the right click drop down menu. Figure 1.5.7.4: Selecting to Split part via Edit menu in the menu bar.